Over the last several years the wine industry has seen a change in moderately-priced wines from California. First, there are fewer of them, as many California wineries have raised prices leaving buyers wondering where to find “value”. Second, many family-owned wineries can no longer afford to bring their wines to market at moderate price points, leaving much of this business to the larger brands. The O’Connell family, owners of Grayson Cellars, believe that consumers deserve a hand-crafted California wine at an everyday price. 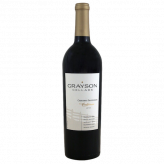 They also believe that decades of Napa winemaking experience allows Grayson to create a better bottle of wine at a better price point than what’s generally in the market today. 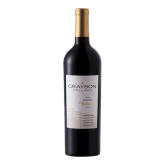 After completing his Enology degree at UC Davis, Grayson Cellars winemaker Larry Levin spent seventeen years at Dry Creek Vineyard where, for over 18 vintages he produced more than 15 varietal wines. He has since covered the globe, making wine in New Zealand, Chile and Australia. For nine years before coming to Grayson Cellars, Larry led winemaking at Icon Estates, where he oversaw the Franciscan, Mt. Veeder, Robert Mondavi, Estancia, Ravenswood, Quintessa and Ruffino brands. Larry also consults for wineries in the Stag’s Leap and Oakville districts in Napa and Sonoma.